“All after-school students should report to the cafeteria and sit in your assigned sections,” the announcement blared. Students who spend their early evenings at W.A. Perry know the routine by now. They know Club Thursdays mean an hour of cooking, sewing, tennis or golf. They know school social worker Marilyn Doucet will be checking to make sure they get to their assigned clubs. And they know the activities will be led not by school personnel but by a small, dedicated band of community volunteers. The volunteers come from Trinity Episcopal Cathedral in downtown Columbia, a detail of only passing importance to the students’ comprehension of the activities, yet underlying these experiences is a 16-year relationship between the cathedral and W.A. Perry. The cathedral’s lasting commitment of support is renewed every Thursday with each cookie baked and each needle threaded. “It’s been a great partnership with Trinity. What they do for us is priceless,” Doucet said Jan. 18 during Episcopal News Service’s visit to the after-school program. 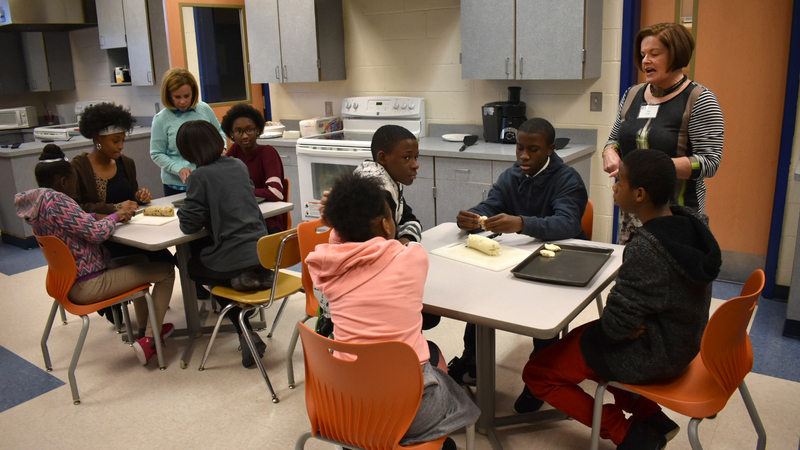 Church-school partnerships like this one in South Carolina’s capital city engage Episcopalians in the Episcopal Church’s call to address education inequity. It is a call taken up most prominently by the All Our Children network, which held a conference in Columbia last week that drew more than 100 educators, advocates and church leaders from multiple denominations. South Carolina has been fertile ground for such partnerships thanks to the Bishops’ Public Education Initiative, which involves the state’s Episcopal, Lutheran, Roman Catholic, United Methodist, African Methodist Episcopal, African Methodist Episcopal Zion and Christian Methodist Episcopal churches. 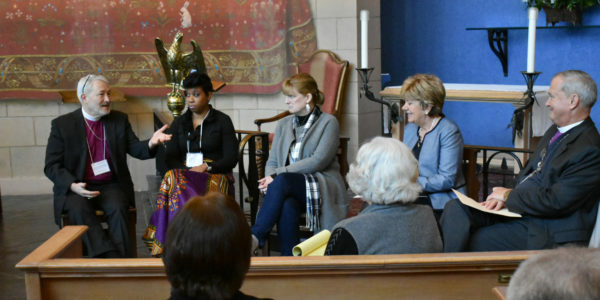 “God is calling us to raise up the gifts of every child that was put on this planet,” Diocese of Upper South Carolina Bishop Andrew Waldo said Jan. 17 at the All Our Children conference during a panel discussion about the Bishop’s Initiative. Waldo’s implication was one that reverberated across the three-day conference held at the cathedral: American children, though “created equal” in the eyes of Jeffersonian democracy, are not always treated equitably by their public education system, but instead find the scales tipped according to race, language, family income and even the street where they live. All Our Children seeks to balance those scales, and a common refrain at the conference was the need to develop meaningful relationships across racial, cultural and social divides. Anyone searching for examples could begin with the divide between the mostly white, affluent congregation at Trinity Episcopal Cathedral and the mostly black, low-income student body at W.A. Perry about a 10-minute drive to the north. “It’s good to see y’all here,” volunteer Patti Trotter said as the Club Thursdays cooking class got underway. The 16 students, broken into four groups, sat at tables in a classroom equipped with ovens and furnished with cookware and utensils. Of the 50 or so students in Club Thursdays, each identifies preferred activities at the start of the academic year and is assigned by the school to two of them, one club in the fall and the second club starting in January. 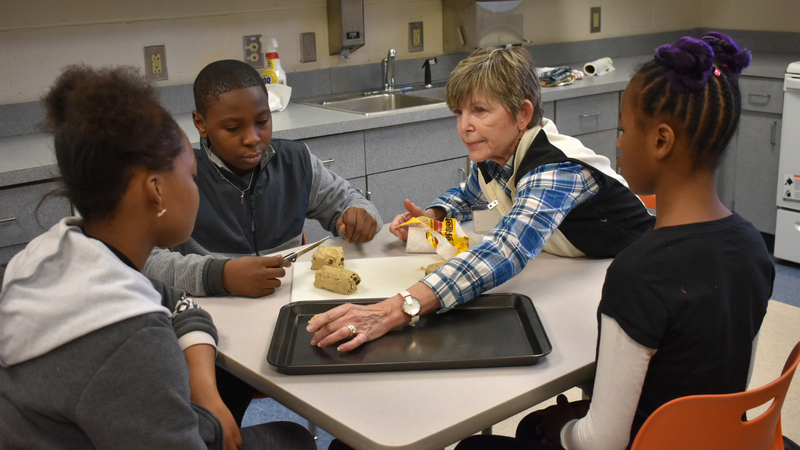 This was the first club meeting of the new year, so Trotter and other volunteers from the cathedral helped the cooking students make an easy inaugural treat, cookies from prepackaged cookie dough. In the next room, fellow volunteer Beth Yon showed about a half dozen students how to sew a hem. Tie a big knot, she advised, so it will anchor the thread. 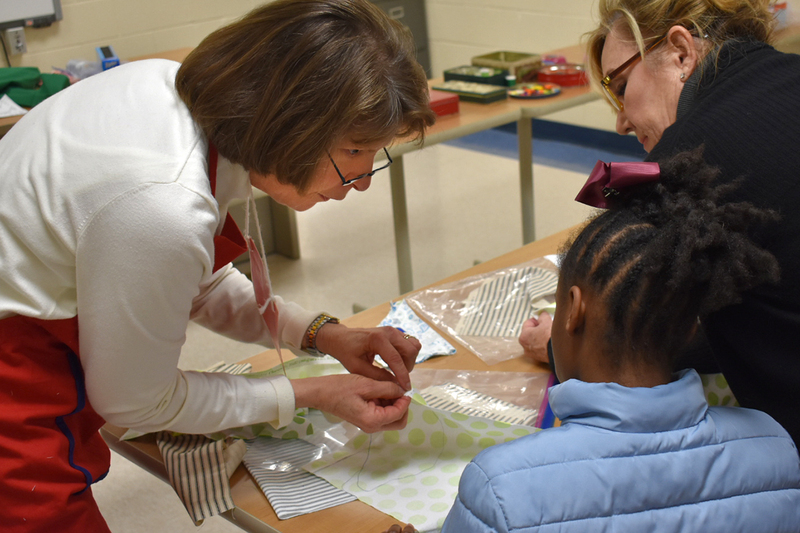 The students will progress over the coming weeks to sewing a button, operating a sewing machine and eventually working on a final project, such as a pillow or a bag, Doucet said. The volunteers are called to this work by their faith, but religion isn’t discussed with the students. And despite the classroom setting, these lessons are not academic in a traditional sense. Their value is in the interaction between adult and child. “That’s very good,” Yon said to one girl, who was scrutinizing her stitches. “I’ll show you a trick,” Yon continued, and then imparted a nugget of needle-earned wisdom. For each Club Thursday activity, the cathedral sends three to six volunteers to help. The activities are chosen to give the students opportunities to try new experiences, and the volunteers also gain new experiences, spending time in a school and a neighborhood removed from their daily lives, said the Rev. Patsy Malanuk, Trinity’s canon for mission and outreach. W.A. Perry, one of nine middle schools in the Richland 1 School District, was chosen by Trinity for outreach partly because the cathedral already had been involved in the neighborhood, through a homeless ministry called St. Lawrence Place. 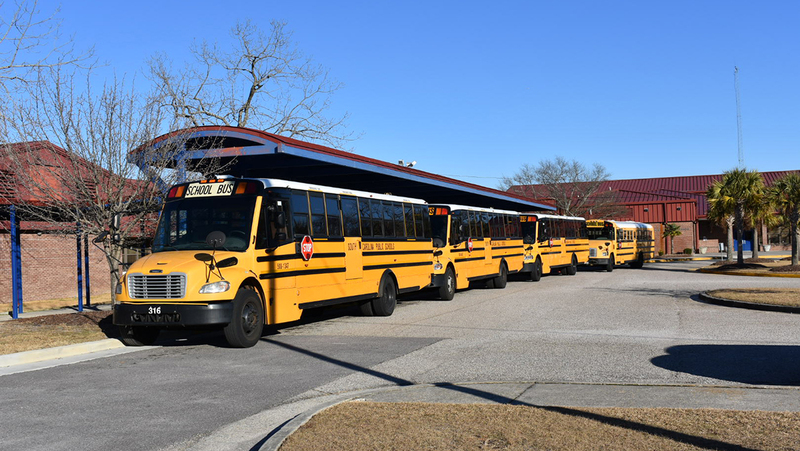 The schools in South Carolina receiving federal Title 1 assistance make up a long list, but education equity advocates say some of the greatest need is found many miles from Columbia in the poor, rural school districts along the state’s Interstate 95 corridor. Crumbling facilities are common, resources are scarce and students are deprived of even a “minimally adequate education,” according to the South Carolina Supreme Court, which ruled in 2014 that the state had failed to meet its obligation to 30 school districts in that region. The court ordered the Legislature to develop a funding plan to correct that injustice, but after turnover on the bench, the State Supreme Court effectively reversed itself in November 2017, concluding it was up to legislators, not judges, to decide proper funding levels for education. Much of the public’s awareness of the rural schools’ plight was generated by the 2005 documentary “Corridor of Shame,” which depicted conditions in six of the districts included in the lawsuit. The film was directed by Bud Ferillo, a South Carolina native and former political aide to some of the state’s top elected officials. Despite the attention his film brought to the issue of education equity, Ferillo thinks progress has been uneven at best. Some districts and schools may have improved, he said, but not through any concerted effort by lawmakers. “The state has not taken any definitive action to address the problems that were brought up in the suit,” Ferillo told Episcopal News Service in an interview near his home in Columbia. The South Carolina churches, on the other hand, have provided a model for pushing progressive stances on the issue, he said. Such broad coalitions of action put pressure on the state to adequately fund public education. Ferillo also doesn’t see equity as a rural versus urban issue. The funding reforms sought by the rural districts’ lawsuit would benefit poor districts in cities like Columbia as well. Malanuk acknowledged the range of need in South Carolina and in her city. “There’s still some schools around here that may be in deeper need,” she said, but the cathedral remains committed to the students at W.A. Perry. W.A. Perry Middle School, likewise, is glad to have Trinity as a partner. Coletrain has worked as a teacher and administrator in the Richland 1 district for 17 years. This is her second year at W.A. Perry. “Our kids come from some difficult home situations,” Coletrain said. Some live in single-parent homes or have parents working two or three jobs to get by. Some students are staying with their families at the temporary housing provided by St. Lawrence Place. Whatever challenges the school faces, it offers a warm and welcoming environment for sixth-, seventh- and eighth-graders. 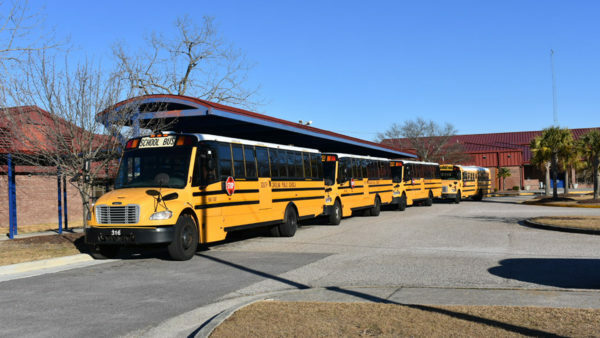 As important as the facility, Coletrain said, are the experiences the school offers the students, from field trips to see “The Nutcracker” to the activities after school. The after-school programs are partly funded by a federal grant, but Club Thursdays wouldn’t be the same without the volunteers from Trinity Episcopal Cathedral. Some of those volunteers spent the afternoon Jan. 18 coaching students on proper tennis technique on the courts outside the school, while others accompanied some students to a golf center a short distance away. Inside the school, the cooking club’s first session was wrapping up. Eighth-grader Caliyah Thompson, 13, was all smiles, joking with a classmate about some of the food she has made at home. Pasta, for starters. And a cake. “Two-layer cake,” she said, with a glint of pride. She and the other club members will learn table manners and a bit of floral arranging in the coming weeks before building up to a final entrée, such as lasagna. Doucet has been involved with the school’s partnership with Trinity from the beginning. She has worked at W.A. Perry for 18 years, long enough to see two generations of neighborhood families pass through the school’s doors. Through Club Thursdays, some of those students receive “experiences they wouldn’t get to have,” Doucet said, because of the work of people like Betty Gregory, one of the original volunteers from Trinity. 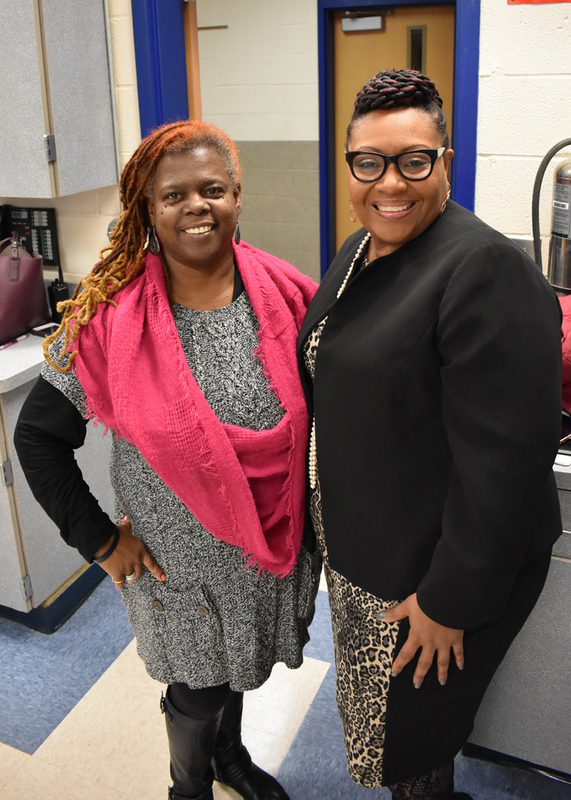 At 5:10 p.m., with the school’s kitchen tidied up after the cooking club, Gregory and Doucet chatted about how the partnership formed and how far it has come. 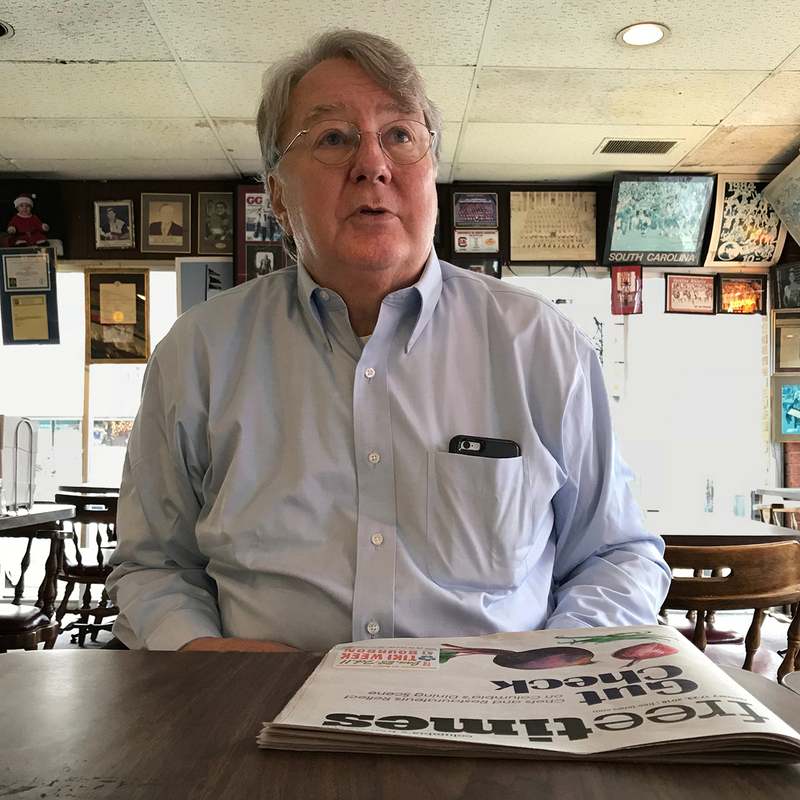 The cathedral had parishioners who wanted to serve the community, and the school had needs to be met, Gregory said, but she and other volunteers didn’t go to the school with their own proposals. They started by asking school officials what they needed and then listening. Administrators said they needed more books, so the cathedral donated books. Then the volunteers asked what else was needed. More service projects followed. Eventually, school officials explained that they were running out of ideas for after-school enrichment activities. Trinity’s volunteers had some suggestions based on their individual interests. “Within six weeks, we had a program up and going,” Gregory said, calling it a ministry of presence.